This is the EEPROM programming section of apctest. 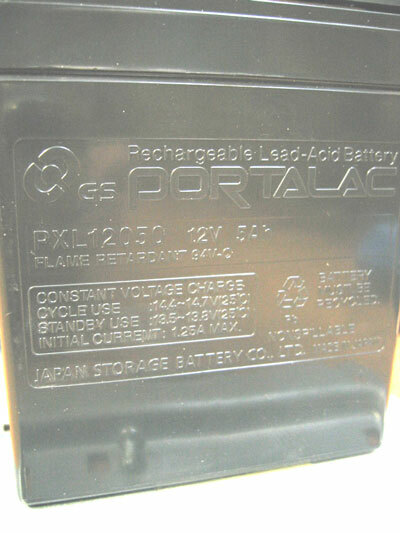 Fri Jul 13 12:20:20 JST 2007 UPS battery must be replaced. 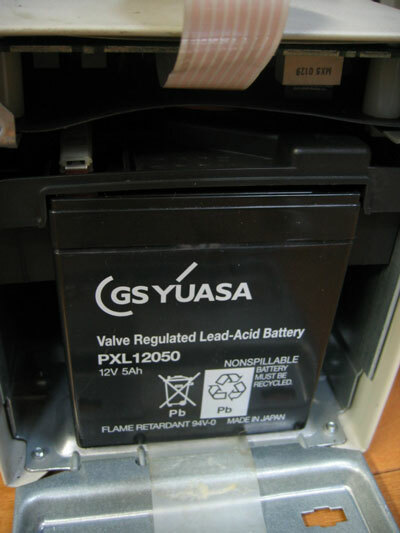 Fri Jul 13 03:20:00 JST 2007 UPS battery must be replaced. Thu Jul 12 18:19:22 JST 2007 UPS battery must be replaced. 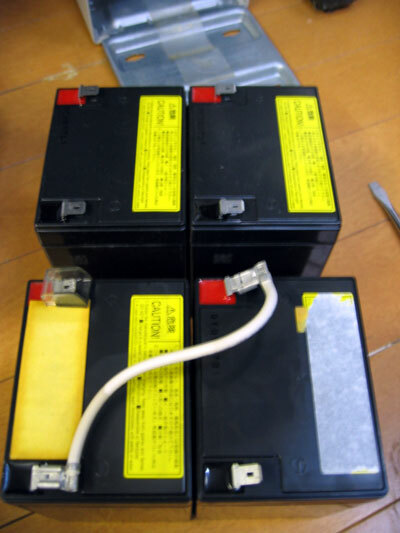 Thu Jul 12 09:19:02 JST 2007 UPS battery must be replaced. Thu Jul 12 00:18:43 JST 2007 UPS battery must be replaced. 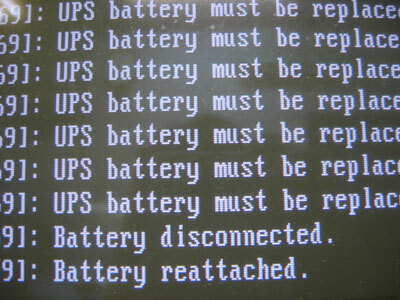 Wed Jul 11 15:18:24 JST 2007 UPS battery must be replaced. 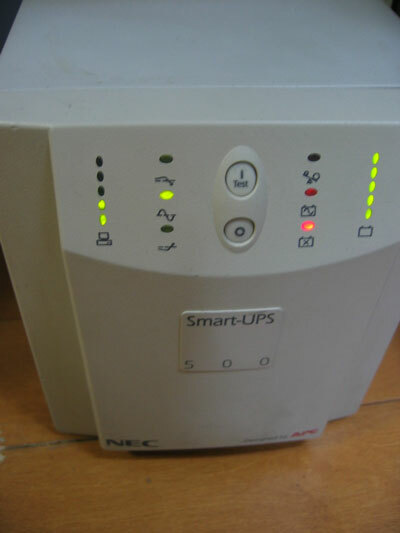 Wed Jul 11 06:18:05 JST 2007 UPS battery must be replaced. Wed Jul 11 06:18:04 JST 2007 UPS Self Test switch to battery. Subject: nobuon.server UPS battery needs changing NOW. nobuon.server UPS battery needs changing NOW. Copyright © 鯖管理日記メモ All Rights Reserved.